Home > Old World Christmas - Traditional Glass Christmas Ornaments > Old World Christmas Glass Ornament - "Western Bluebird"
The gentle Western Bluebird is considered to be a symbol of happiness and fulfillment. Bluebirds were once quite common, but are becoming more rarely seen. 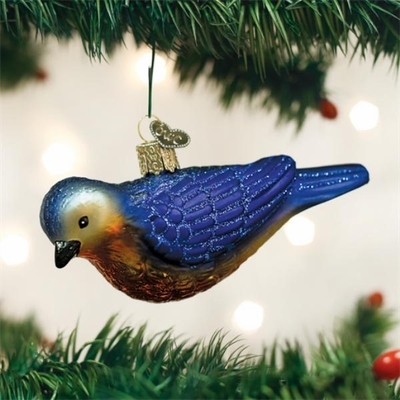 Folklore says when a bluebird is spotted, it is a reminder to enjoy and appreciate your blessings.